Mothers whose babies are born prematurely are often scared and nervous as premature newborns have an increased risk of complications. At the NICU, the baby is kept and treated in a mother’s womb-like atmosphere and conditions with a controlled diet and medication for first few days, weeks or months of life until they are strong enough to make it on their own with the aim of improving survival rates of these babies. The baby growth is monitored as per pre-defined growth parameters. The NICU is your newborn’s protective environment and home till her stay at hospital. The challenge: Making it through the high-tech, good care. Until recently, there has been little effort to tackle the specific health problems of newborn babies. A lack of proper care in the initial days and lapses in the data recording and analytics has fallen through the cracks between care of the mother and the new born. WHO has estimated that every year nearly 41% of all under-five child deaths are among newborn infants, babies in their first 28 days of life or the neonatal period. Of the 8.2 million under-five child deaths per year, about 3.3 million occur during the neonatal period —in the first four weeks of life. The three critical causes of neonatal deaths worldwide are said to be infections (which includes sepsis/pneumonia, tetanus and diarrhea), pre-term, and birth asphyxia that go unnoticed due to manual monitoring methods, lack of preventive approach and sometimes, due to improper supervision. India has apparently the highest preterm births and these babies are extremely vulnerable and at a high risk of death due to several birth complications, acquired infections and damaged organs. 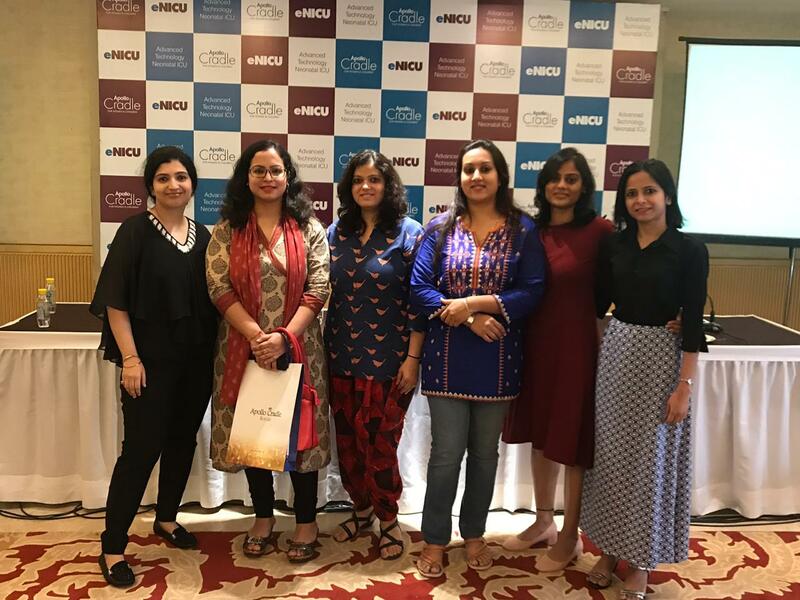 Leading hospital chains like Apollo Cradle have always realized the importance of introducing technological advancements to reduce the infant mortality rates and to provide the best care to the baby. 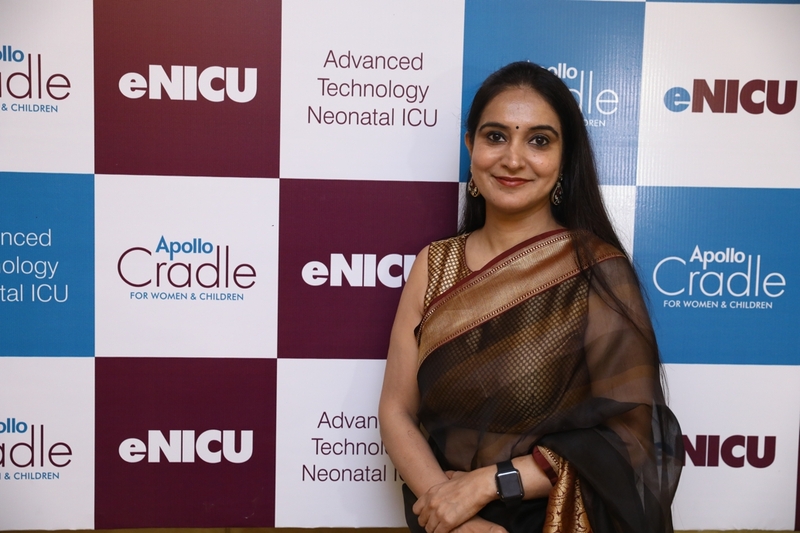 In a development that is expected to reckon the neonatal care capabilities in India, Apollo Cradle, India’s renowned Women & Children hospital has now launched eNICU – a cloud based advanced technology Neonatal Intensive Care Unit at all Apollo Cradle hospitals. 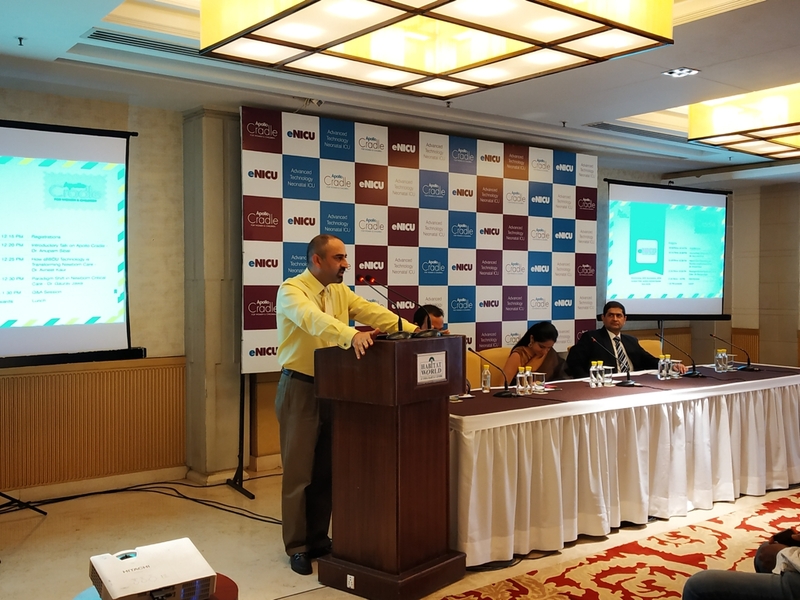 Apollo Hospitals have collaborated with Oxyent Technologies to become the first chain of hospitals to integrate this technology at all Apollo Cradle hospitals after doing a successful pilot project. 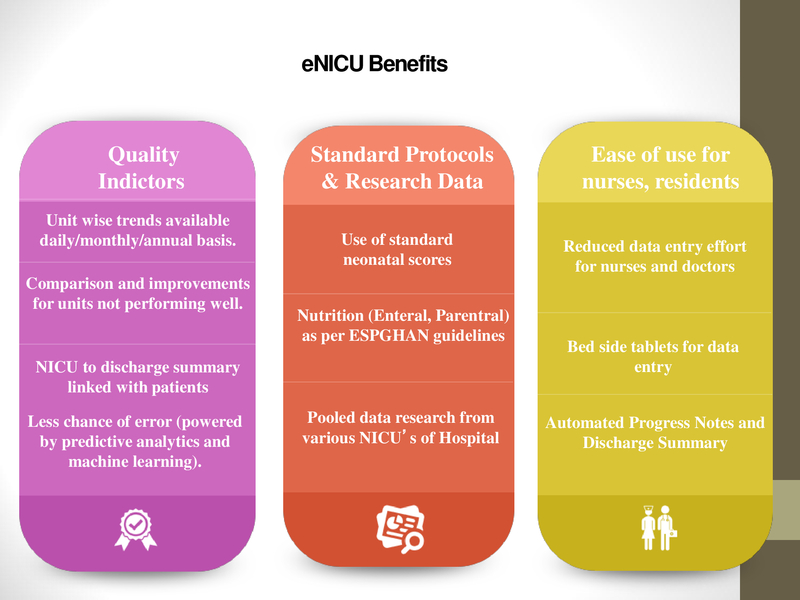 eNICU launch is being implemented with the objective of making early diagnosis of critical diseases and improving overall quality of healthcare which is provided to neonates. This initiative is in line with Apollo Cradle philosophy – “With us, you are always in Safe hands”. To know more on this technology, I recently attended a conference announcing the launch of eNICU facility at Habitat Centre, New Delhi. Team Apollo Cradle took me through this technology at the event and offered an interactive session with Dr. Anupam Sibal (Group Medical Director, Apollo Hospitals Group & Senior Consultant Pediatric Gastroenterologist and Hepatologist), Dr. Avneet Kaur (Senior Consultant, Neonatology Department, Apollo Cradle Hospital) and Dr. Gaurav Jawa (Senior Neonatology and Paediatric Consultant, Apollo Cradle). It was interesting to note that till recently the progress reports on parameters such as drug dosage, nutrition values, baby weight among other parameters were maintained and monitored manually by nurses and doctors. The manual feeding carried a high error rate. Also, the data stored was kept only for a limited time. Through eNICU, Apollo Cradle specialists will now be able to monitor minute by minute details including medication levels, nutrition, feeding pattern, calorie and growth charts of babies, whilst in the hospital and also remotely. Apollo Hospitals take a leap forward to integrate this cutting-edge technology for neonatal care. The cloud-based system will manage doctor’s workflow, nursing workflow and resident doctor handovers and will provide more soothing environment to the baby as the machine systems will be integrated and less human interference will happen. In NICU, the baby is normally surrounded by several devices and irritating sounds and vibrations. No technology developments have happened lately to reduce the number of devices surrounding the baby in NICU. The system comes with screens that are exact replica of the NICU workflow-like admission form, assessments and nursing charts. 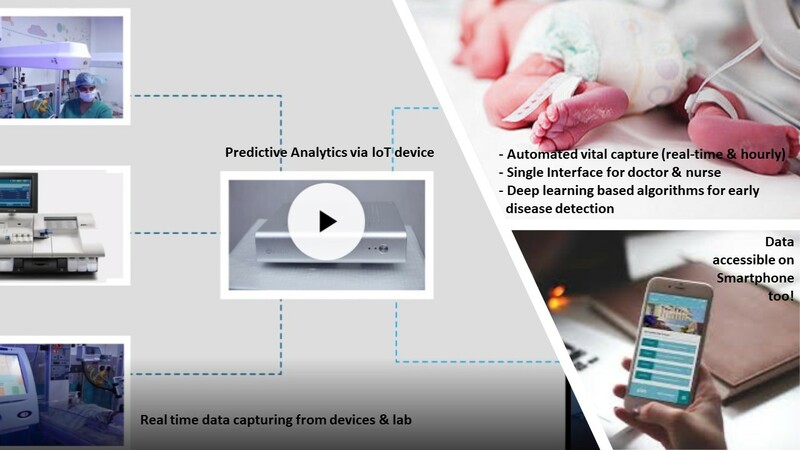 The real-time monitoring allows capturing real-time clinical parameters of real-time clinical parameters of every neonate coming from multiple devices, which can be viewed on a single interface on the cloud and can be accessed by doctors at any point of time. eNICU brings together HL7-based integration with EMR and laboratory systems such as Pulse Oximeters, Monitors, Blood Gas and Ventilator and Apollo Cradle strives to make early diagnosis of critical diseases and improving overall quality of healthcare which is being provided to neonates. Kangaroo care is a technique where the premature baby is placed in an upright position on its mother’s bare chest allowing tummy-to-tummy contact that positions the baby between the mother’s breasts. Kangaroo care has been shown to help premature newborns with regulating baby’s body temperature, facilitates higher breast milk flow, increasing weight gain, increased intimacy and bonding. We have all heard how breastfeeding strengthens a baby’s immune defenses and increases emotional connections between a mother and her baby. However, in cases where a baby is born prematurely, a mother might not be allowed to breastfeed her baby. Most premature newborns, between 25-29 weeks gestational age, are fed intravenously or through a tube. Once the baby’s respiratory system is stabilized, the mother can begin breastfeeding. Most babies born 35-37 weeks can go straight to breastfeeding. Read here why breastfeeding is important. Real-time data reporting: helps in quick clinical decisions and doctors can access the vital stats remotely for any critical instructions for a neonate at the times of need. In one interface every data is available round the clock and has long shelf life. Predictive analysis: Cognitive intelligence will assist clinicians in pattern finding and real-time analytics for early identification of diseases. Multiple device data on a single interface: Clinical parameters of the baby coming from multiple devices like monitor, ventilator and blood-gas machine can be viewed on a single screen. Zero errors because of automation of workflows: Reminders and notifications for medications, feeds and timely neonatal screening are sent to doctors as well as nurses. Automatic Discharge summary is generated, and the information is available online so that the other hospital using the same interface can also see. Data Analysis will help in predicting the onset of complications in future. The technology facilitates good standard care, reduced clinical -errors, and early pick-up of the problems that gone unnoticed because of manual data entering which can in long term help them live a better life. The device is not going to cure the baby but assist in providing quality crucial care to the baby. A lot of new mothers normally is unable to come and see their baby post-delivery. So, if the mother allows, this technology can facilitate live video footage of the baby that is admitted in the hospital. She can sit at home and see her baby through the app. The technology facilitates greater Mom-child bonding before she could actually hold the tiny baby onto her arms! India gears for an infrastructure development in neonatal care and methodology and Apollo Cradle has indeed taken one giant leap forward. Thanks Apollo Hospitals for spreading the joy of motherhood.